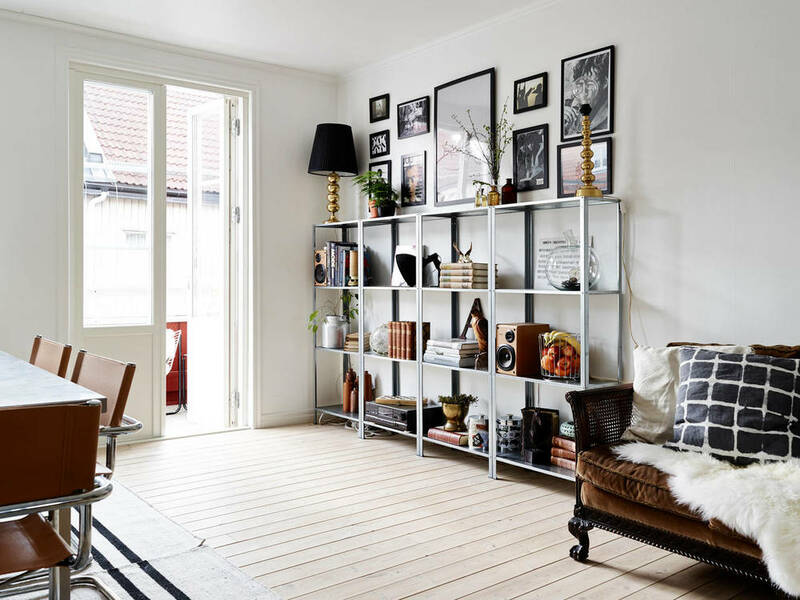 A pretty little apartment in Sweden that has two floors and plenty of style. What do I love about this place...well I really like the lamps over the dining room table and the full picture wall in the same area (the hats make a nice touch). It is a nice balance to the shelving on the opposite wall and fills the room nicely. I also get a kick out of the kids room. Super cute accessories and a raw wood wall...oh yeah!